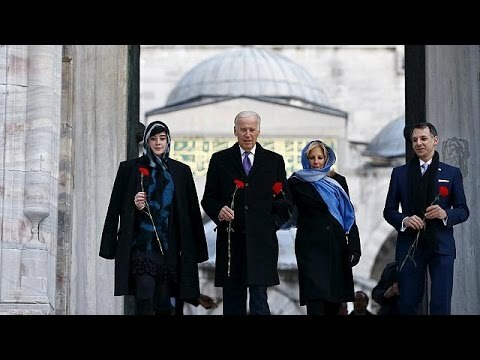 Why has Turkish Foreign Policy Gone Rogue & What does it mean for the US? Turkey has become one of America’s most vital partners in the Middle East in promoting stability and growth in the region and a key ally in the West’s fight against the Islamic State, or ISIS. This is partly because of its status as the only majority-Muslim member of NATO, but also because at the start of the 21st century, Turkey began viewing its economic interests as the top priority of its foreign policy. This helped deepen its diplomatic and economic relations with regional neighbors such as Iran, Syria and Egypt that previously were seen as adversaries or even security threats, thus enhancing its geopolitical significance for the U.S. and Europe. It also led to warmer relations with Israel, another key U.S. ally in the region. But recent actions by Turkey – such as its downing of a Russian fighter in November – suggest its foreign policy is beginning to hum to a different tune, one that will not hesitate to confront a major economic partner over a border violation issue that could have been handled differently. These developments raise questions about the role of economic priorities in President Tayyip Erdogan’s foreign policy. Is Turkey still a so-called trading state that puts economic interests first, or has it abandoned this type of diplomacy in favor of ideological and security objectives? And what does this mean for its partners such as the U.S. as they try to defeat ISIS and bring an end to the almost-five-year-old Syrian civil war – not to mention the region’s many other challenges? These are the questions that have interested me as I’ve been conducting research into the economic and diplomatic relations of Turkey with its Middle Eastern neighbors after the “Arab Spring” uprisings. For most of its life as the Republic of Turkey – established in 1923 – Turkish foreign policy was driven by geopolitical and ideological priorities that reflected the values and perceptions of the Kemalist secular elite. There was little interest in developing close ties with Middle Eastern neighbors, and Turkey routinely aligned its foreign policy with the U.S. and Europe in the context of the Cold War. That changed in the 1980s when new market-oriented economic reforms put a high priority on promoting export-oriented industries such as textiles and attracting foreign investment. For the first time, economic and trade interests received serious consideration in Turkish foreign policy. Political instability and ethnic unrest in the Kurdish regions, however, reduced the significance of economic objectives in the 1990s. The victory of President Erdogan’s Justice and Development Party (AKP) in 2002 reoriented Turkey’s foreign policy toward economic goals once again, but even more so than before. The AKP’s foreign policy strategy was designed by Foreign Minister Ahmet Davutoglu, who believed that the top priority of Turkish foreign policy was to serve the country’s economic interests. He dubbed his approach “zero problems” foreign policy, which emphasized cooperation above confrontation. Instead of viewing Russia, Iran and Arab countries as security threats, Ankara looked at them as potential export markets and energy partners. Good relations with Israel and the Arab world gave Turkey more diplomatic and economic weight in both sides. Similarly, Turkey’s friendly relations with Iran and Western nations gave it some leverage in the recent nuclear negotiations. Turkey’s main business association successfully lobbied the government to improve diplomatic and economic relations with Iraq and particularly with the independent Kurdish region. Similarly, the Turkish Federation of Businesses and Industrialists convinced the AKP to strengthen diplomatic and economic ties with Africa. Russia, meanwhile, quickly became Turkey’s second-largest trade partner after Germany – worth more than US$35 billion in 2013 – and its largest supplier of natural gas. And the volume of trade between Iran and Turkey rose from $1.2 billion in 2002 to $21.3 billion in 2012. By focusing on economic diplomacy, the AKP transformed Turkey into a successful trading state that was more mindful of not alienating international creditors or regional consumers of its exports than previous governments. While this economic-oriented diplomacy served Turkey well for nearly a decade (from 2002 to 2010), a number of recent developments have cast doubt on whether Turkey is still a trading state, most recently its decision to shoot down a Russian jet fighter. And ties to Egypt and Syria have been severely strained by President Erdogan’s support for Islamist opposition groups. While this more ad-hoc foreign policy remains focused on economic objectives in relations with many countries such as China, its more ideological and interventionist approach to others has come at a steep cost. This new course was best demonstrated by Turkey’s reaction to the Arab Spring uprisings that began in 2010. Immediately after the 2011 uprisings in Egypt, for example, Turkey sided with the demonstrators and Muslim Brotherhood and called on then-President Hosni Mubarak to step down. These interventionist postures were surprising because they politicized Turkey’s previous growing economic relations with Egypt. For example, a free trade agreement that went into effect in 2007 catapulted trade between the two countries to $4.1 billion in 2011 from under $1 billion in 2005. Lucky for Turkey, the Muslim Brotherhood took the reins of power in elections in 2012, which led to a further expansion of trade. But just a year later, President Abdel Fattah el-Sisi – whom Turkey vociferously opposed – toppled the government, leading to a decline in trade and investment. Turkey’s response to the Syrian uprisings in 2011 was similar. The affinity of AKP toward Islamist opponents of President Bashar Assad shaped Turkey’s initial response to the uprisings despite strong economic ties that had developed during the zero problems era, when exports to Syria soared from $266 million in 2002 to $1.64 billion in 2010. This support for Syrian rebels also led to the downing of the Russian fighter. The desire to protect the Turkmen minority of Syria from Russian attacks and frustration with Russian support for the Assad regime were somehow perceived by the Turkish leadership as being more important than economic relations with Russia (not to mention a nuclear power). Two important factors can help explain the new direction of Turkey’s foreign policy in recent years. First, over time the Islamists and conservative Muslims have gained more influence in the central committee of AKP and have demanded a more active intervention in support of moderate Islamists in other Middle Eastern countries. This ideological shift has coincided with the AKPs ability to increase its influence over the judiciary, the armed forces and the media. As a result, the AKP has gained more control over both domestic and foreign policy while moving in this ideological direction. Second, the stability and progress of Turkey during the zero problems era has boosted the confidence of the AKP leadership (particularly President Erdogan) in Turkey’s unique position as the economic and political leader of the Middle East region. This perception has encouraged the AKP to intervene in regional issues and even challenge major outside powers such as the United States and Russia. The combination of these two factors explains many of Turkey’s foreign policy actions that have been costly for Turkish economic interests in recent years. The AKP and any other Turkish administration, however, cannot afford to ignore economic diplomacy in the long run because the Turkish economy remains heavily dependent on foreign trade and investment. And foreign policy that’s driven more by ideology risks unsettling relations with some of Turkey’s most important allies, such as the U.S. and the European Union. Although a deal over Syria remains elusive, President Erdogan’s visits to Saudi Arabia late last year helped pave the way for the latter’s cooperation in talks to end the fighting there and elsewhere (as well as promoting more trade and investment). But incidents like the one with Russia jeopardizes such talks and cooperation. In addition, Turkey’s recent steps to normalize relations with Israel is also partly motivated by economic interest as Turkey considers importing gas from Israel. Better relations with Israel can give Turkey more regional influence as a stabilizing element in future Arab-Israeli flare ups. Overall, Turkey still remains a trading state, but it has changed from reliably consistent trading state to an erratic and ad-hoc one in recent years. It is now more likely than during the zero problems era that ideological and emotional factors will damage relations with a trading partner. When this happens, the government will try to open new markets and engage in damage control. But as a result of occasional tensions with economic partners, Turkish industrialists and merchants will face higher political risks in their relations with foreign counterparts. And Turkey’s allies will be forced to deal with a less predictable regional partner.